In today’s law enforcement vehicles, space is at a premium. Take advantage of proven Microwave technology, now in a package that is more comfortable to use and fits easily in tight spaces. LDR speed checking instrument have a relatively wide beam (9 to 25 degrees) that easily covers several lanes of traffic at a relatively short range. It is very easy to aim because Microwave Equipments do not require aiming exactly (only general direction). But in case of other Laser Equipment Exact Aim is required. It can be used in Moving mode and in the Stationary mode other than the other Laser Equipments which can be used only in the Stationary mode. 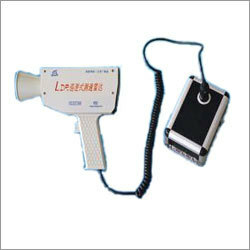 It can be used for measuring both Short and Long Distance. It can be work in both Continuous and Instant-on mode. It captures speed measurement in 0.1sec.